In 1979, the State of Arkansas purchased 11,644 acres that became today's Hobbs State Park – Conservation Area. A debt of gratitude is owed for the efforts of the citizens of this area who persuaded local and state leaders to save the tract of land from private development. As a result, 22 northwest Arkansas banks, together with The Nature Conservancy, played a critical role in initially acquiring the property to hold in trust until federal and state funds could be arranged to conclude the acquisition by the state. The Hobbs acquisition inspired The Nature Conservancy to staff their first office in Arkansas. Even though the Hobbs Estate, as it was known by many native citizens, is now titled to the Arkansas Department of Parks and Tourism – State Parks Division, it is jointly managed with the Arkansas Natural Heritage Commission and the Arkansas Game & Fish Commission. Peter moved to eastern Benton County in 1851 from Fayetteville to set up an oxen-driven saw mill on the current Hobbs State Park – Conservation Area property at the confluence of what is now known as north and south Blackburn Creek. By 1858, Peter had moved his operations four miles east to the West Fork of Little Clifty Creek in what is now called Van Winkle Hollow. With a reliable water source, and the best stand of short-leaf pine timber in the region, he established the first steam-powered sawmill in northwest Arkansas. This mill and the Van Winkle home were burned to the ground during the Civil War. In 1865 Peter and his family returned from their self-imposed exile to Texas and rebuilt a new, larger mill on the same site. After living for five years in Cross Hollow, near Rogers, Peter rebuilt their home in Van Winkle Hollow in 1871. During his lifetime, Peter assembled and owned about 17,000 acres in the Northwest Arkansas region including over 10,000 acres now occupied by the Hobbs State Park - Conservation Area. 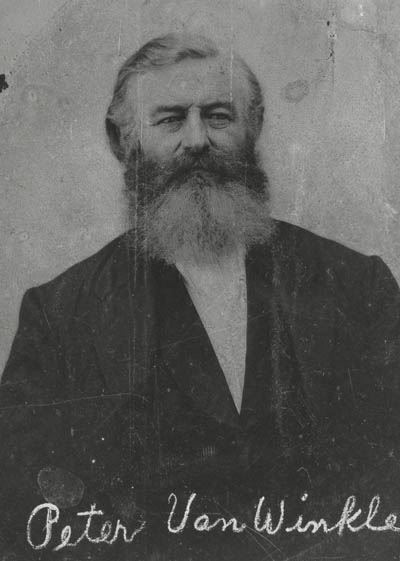 Peter's son-in-law, J.A.C. Blackburn and his wife inherited the Van Winkle home, business and land holding upon Peter’s death in 1882. They continued to run the mill until it was closed in 1890 due to lack of marketable timber remaining on the property. This little Ozark Hollow where Peter established his family and business, its industrial operation, service as a community center, and the affairs of the Van Winkle family, has significantly impacted the history of this region and Arkansas. During this short period of time; community and regional development, the influence of slavery, and a brush with the Civil War all contributed to the historical diversity of the site. The Van Winkle Hollow operation is known as one of the best and primary examples of what led to the industrial growth in Northwest Arkansas. 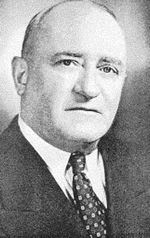 Roscoe Hobbs, born in Northwest Arkansas (Bentonville) in 1881, began his career in the railroad business around 1908 with the Arkansas & Oklahoma Western Railroad (renamed Kansas City & Memphis Railway) running 61 miles from Siloam Springs to Rogers. His career blossomed over the next two years as he progressed from an entry level brakeman to become a locomotive fireman, depot agent and later traffic manager. Realizing the need for lumber to provide railroad ties, Hobbs together with four partners formed Ozark Land and Lumber Company. The Company acquired 12,500 acres of the former Van Winkle timber land and the lumber mill in 1912, and began construction of a railroad bridge over the White River and eight miles of track from near Monte Ne to a point near War Eagle. Unfortunately, in 1914 the collapse of the Kansas City & Memphis Railway, to which the new bridge and track were leased, triggered a foreclosure of the property. In 1915 the bankruptcy court appointed Hobbs as the receiver and general manager of the railroad company until 1917. The company was liquidated and the track removed in 1918. In 1917, Hobbs and five partners formed the Ozark Tie Company in Rogers with Hobbs as president. The company continued in the tie business until 1922 when it was dissolved and Hobbs formed the Hobbs-Hussy Tie Company in St. Louis the same year. In 1928, fourteen years after foreclosure of the timber land mortgage, the Hobbs Tie and Timber Company formed in St. Louis in 1927 acquired the mortgage and note thus returning the 12,500 acres of the former Van Winkle property back into Hobbs’ ownership. Hobbs Tie and Timber Company prospered in the timber business and merged with the Hobbs – Western Company in 1939. 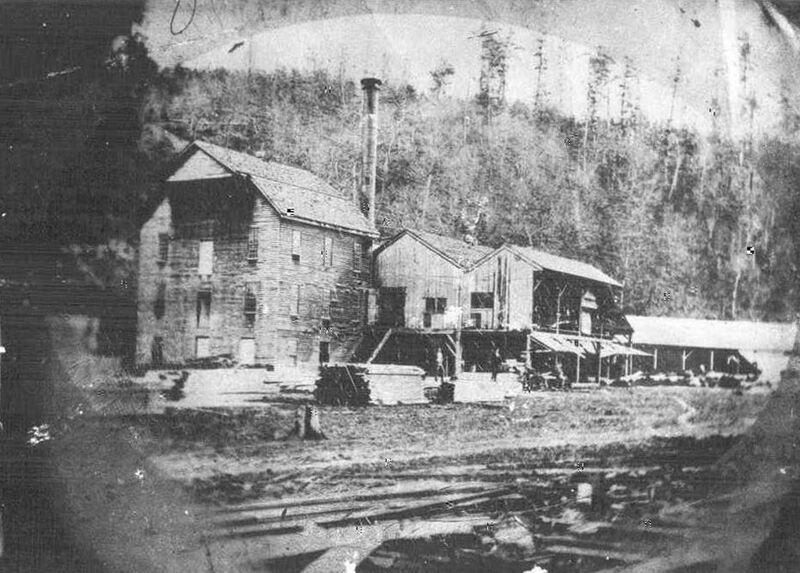 The company became the nation’s largest supplier of railroad ties, and the second growth of timber on the old Van Winkle lands supplied much of the wood for the company. Railroad ties had long been a source of income to area farmers, who were always clearing land anyway. But Hobbs turned ties into a major business. Timber continued to be cut and processed at a saw mill on the property until the early 1960’s. Roscoe did not believe in the use of herbicides, and was very particular about the tactics used to manage and harvest the timber off the tract, thus selective harvesting became the primary method. Hobbs died in 1965. The heirs of the Hobbs estate sold Peter Van Winkle’s house materials to Harvey and Bernice Jones. The hand-made bricks from the three chimneys were used to construct a small church, the first building at what has become known as Har-Ber Village in Grove, Oklahoma. Peter Van Winkle's second mill.